Target grips feature thumbrest, heelrest and finger grooves. Designed to give the shooter a relaxed, steadier hold. 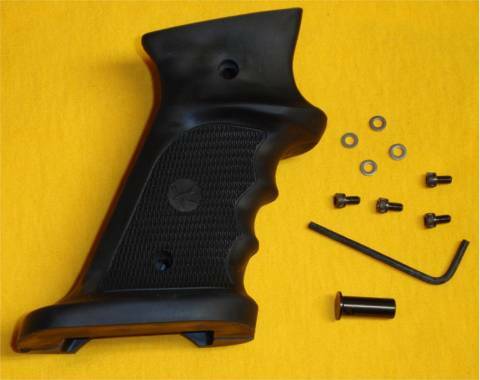 This One-piece rubber grip features an extended magazine release and includes four allen head screws and washers. Currently available in Right Hand configuration only.